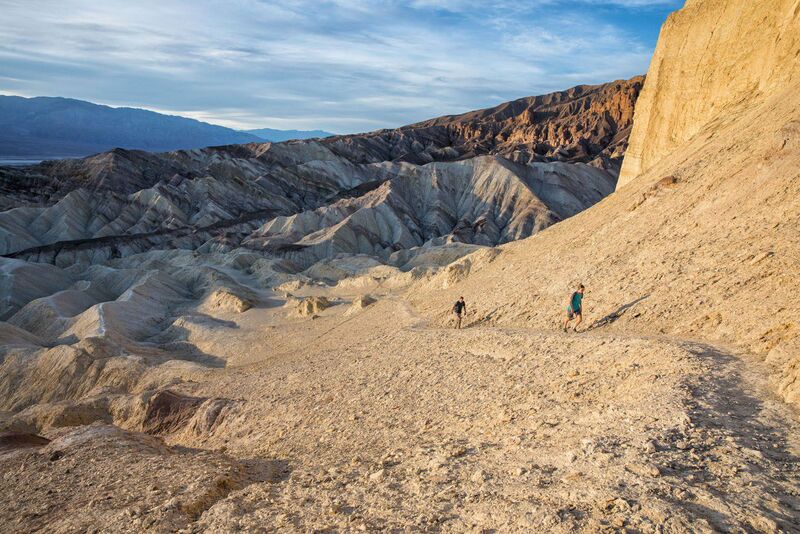 If you like the idea of exploring sand dunes, climbing down into an extinct volcano, hiking through canyons, and seeing one of the United States’ most unique landscapes, Death Valley is calling your name. 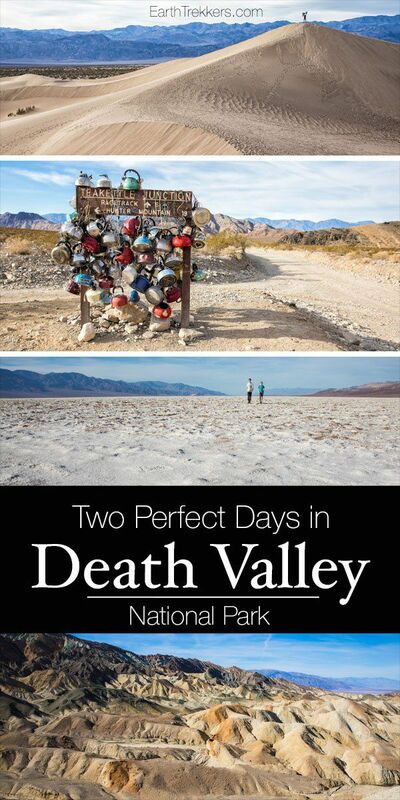 With 2 days in Death Valley, you can see the main highlights, although more time allows you to explore further. Here is our two day itinerary from Las Vegas, with options to extend your visit if you have more time. This itinerary works best if you are driving in from Las Vegas. 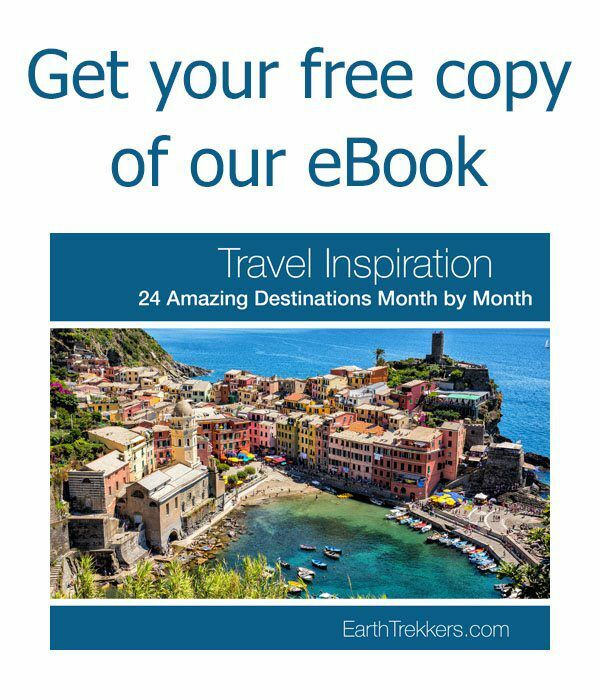 If you are driving in from the California side (Panamint Springs), you will have to do some extra driving on Day 1 to get to the starting point of this itinerary. You will need to have your own transportation. An SUV is sufficient but a 4×4 is ideal. 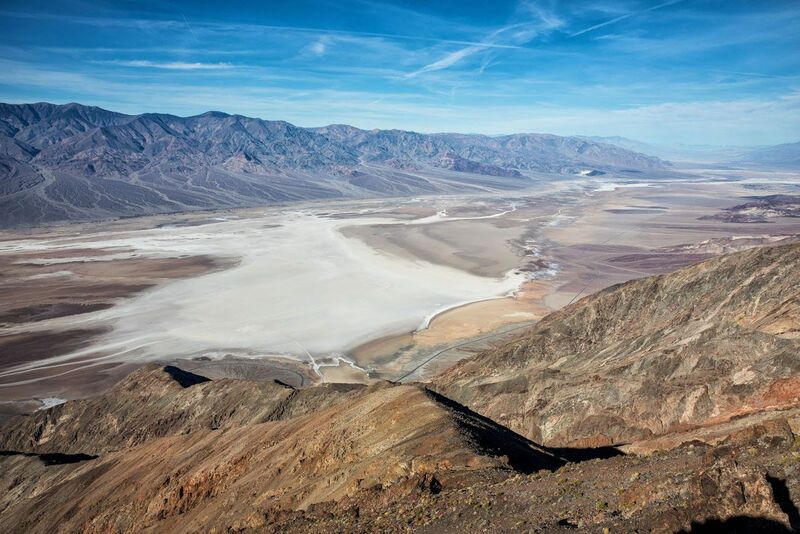 On this Death Valley itinerary, you will visit Racetrack Playa, but to get here it’s a long drive over rough, gravel roads. If you are doing this with your own car, you can rent a 4×4 once you get to Death Valley. I will tell you how to do this later in this post. On this map, the yellow labels are for Day 1, the green labels are for Day 2, and the blue labels are things to do if you have more time. 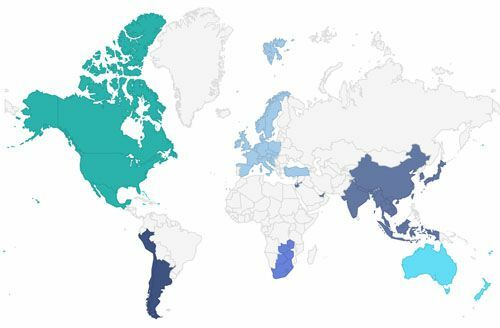 How to Use This Map: Click the tab in the top left hand corner of the map to view the layers (day 1, day 2, where to stay, with more time). You can click the check marks to hide or show layers. If you click the icons on the map, you can get more information about each point of interest. From Las Vegas it is a 2 hour drive to get to Death Valley. There are two routes to choose from: NV-160 through Pahrump and Death Valley Junction or US-95 through Indian Springs and Amargosa Valley. I recommend taking NV-160 through Pahrump. Overall, it’s a very scenic drive and it’s slightly quicker than driving on US-95. Plus, we were told by the local people that there is a huge speed trap on US-95 near Indian Springs. 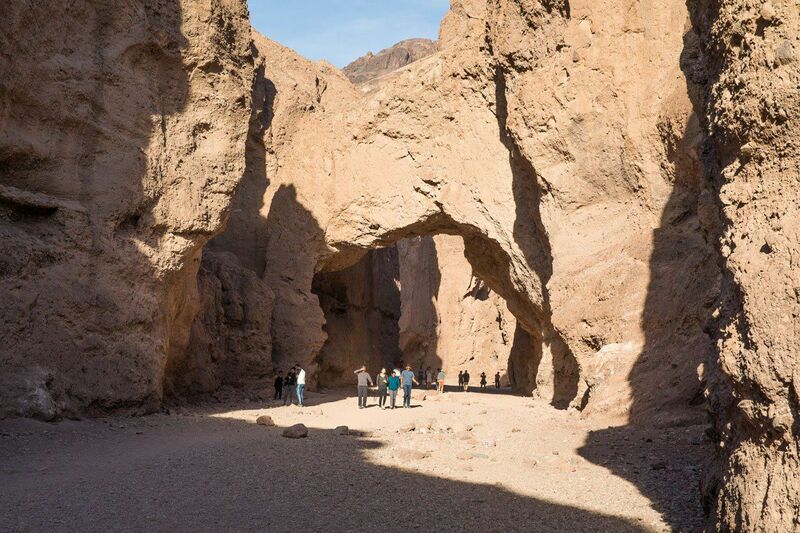 In order to maximize your time in Death Valley (especially if you are visiting during the shorter winter days) get an early start. How early? If you leave Las Vegas at 7 am you will arrive in Death Valley at 9 am, which gives you plenty of time in the park today. The first thing you will see is the park entrance sign. Pop out and take a photo, if you desire. About one mile down the road is a pay station. There is no park ranger or ticket booth here like in many other national parks. You simply park, pay your fee ($25 per vehicle, valid for 7 days) at the automated pay station, put your receipt/ticket on the dashboard, and then continue on your way. Almost immediately after the pay station is the turn-off for Dante’s View. Turn left on Furnace Creek Wash Road (follow signs towards Dante’s View) and drive 13 miles (about 25 minutes) to Dante’s view. The road gets very curvy with several switchbacks near the very end of the drive. You can enjoy the view from the parking lot. However, there are fun trails that lead off in both directions that are worthwhile for a different perspective. Stretched out in front of you is the heart of Death Valley. Down below is Badwater Basin, the lowest point in the United States. If you look closely, you can see a road running through the valley to Badwater Basin. Later today you will drive that road when you visit the Basin. For Star Wars fans, Dante’s View is the Mos Eisley overlook, featured in Star Wars: A New Hope. Death Valley was used a lot in the filming of Star Wars: A New Hope. Both Twenty Mule Team Canyon and Golden Canyon were featured, both places you will visit later today. 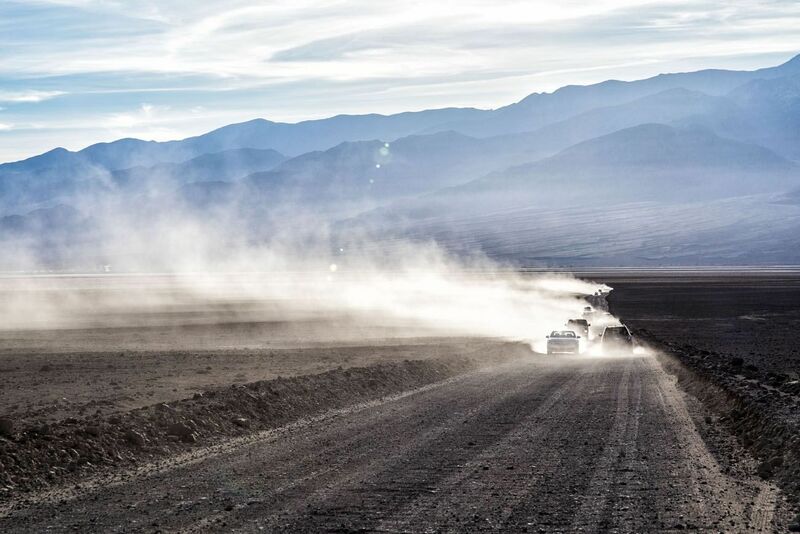 For more on Star Wars filming sites in Death Valley, read this post. After Dante’s View, drive back to highway 190 and turn left to continue into the park. Drive 6 miles to the entrance to Twenty Mule Team Canyon. Twenty Mule Team Canyon is a one-way road through yellow and white mudstone hills. Borax was mined from this area 100 years ago. I expected this to be an unexciting waste of time. Boy, was I wrong. The landscape here is gorgeous, in a chalky, desolate sort of way. You drive through white and yellow mudstone hills with zero vegetation anywhere. About 2/3 through the drive is a small turn-off, just big enough for several cars, that gives you access to very short hiking trails into these hills. Definitely get out and do this. The view from the tops of these hills is amazing. Can you find Tyler and Kara? The drive through Twenty Mule Team Canyon and the short hike takes between 30 and 45 minutes. 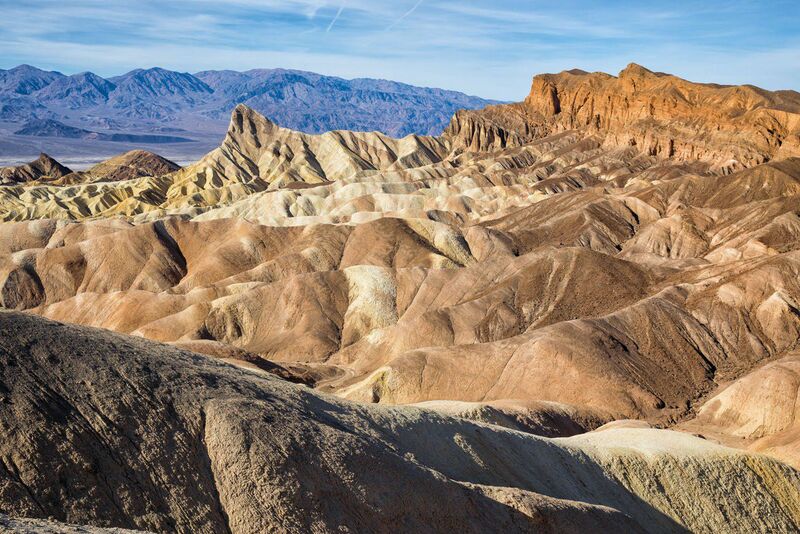 Zabriskie Point is another very famous, must-see viewpoint in Death Valley. You know it’s popular when the parking lot is enormous and there is an asphalt trail to the viewpoint. This was the most crowded place we visited in Death Valley. Enjoy the view but skip the hikes (there are better ones to do later today). A visit here takes about 15 minutes. There are very limited restaurant options in Death Valley. You can dine at one of the restaurants at The Oasis in Furnace Creek or you can drive one hour round trip to Stovepipe Wells. Time is limited (especially during the winter months) so your best bet is to assemble a picnic lunch the day before you drive to Death Valley. This quick stop is worth it to see the lumpy salt flats that are named the Devil’s Golf Course. If you choose to walk out onto these flats, be careful! These formations are surprisingly sharp and you can be injured. You might want to think twice before letting young kids explore this spot. 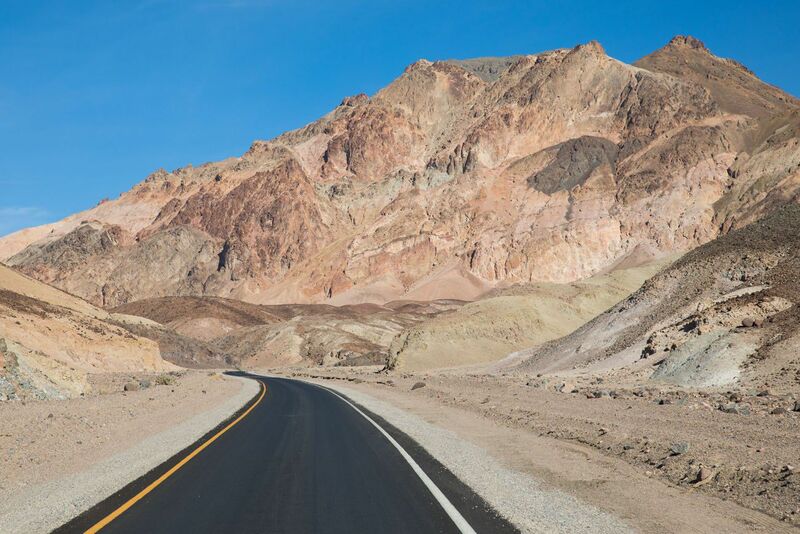 Getting here from Zabriskie Point: Drive past Furnace Creek and turn onto Badwater Road. Turn right onto West Side Road, following signs for Devil’s Golf Course. It’s a short drive on a well-maintained gravel road to the parking lot. This entire drive is 10 miles and takes about 15 minutes. From Devil’s Golf Course, turn right onto Badwater Road and drive to Badwater Basin (9 miles, 11 minutes). 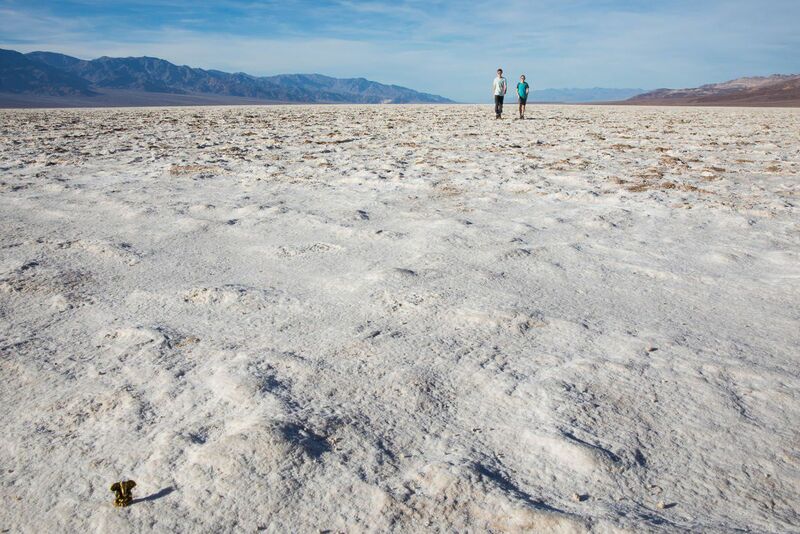 Badwater Basin is the lowest point in the United States, sitting 282 feet below sea level. Walk out onto the salt flats and enjoy this unique landscape. From Badwater Basin, head north on Badwater Road towards Furnace Creek. Drive 4 miles and then turn right onto Natural Bridge Road. We heard a lot of good things about the hike to Natural Bridge before our visit. In fact, it’s one of the more popular hikes in the park. For us, Natural Bridge was a disappointment. It’s a rather unexciting walk up a large gravel trail to a stone arch in the canyon. If you’re curious, go for it. But we recommend saving your time and your energy for a better hike later today. If you do this hike, it’s 2 miles (out and back) and takes about one hour. 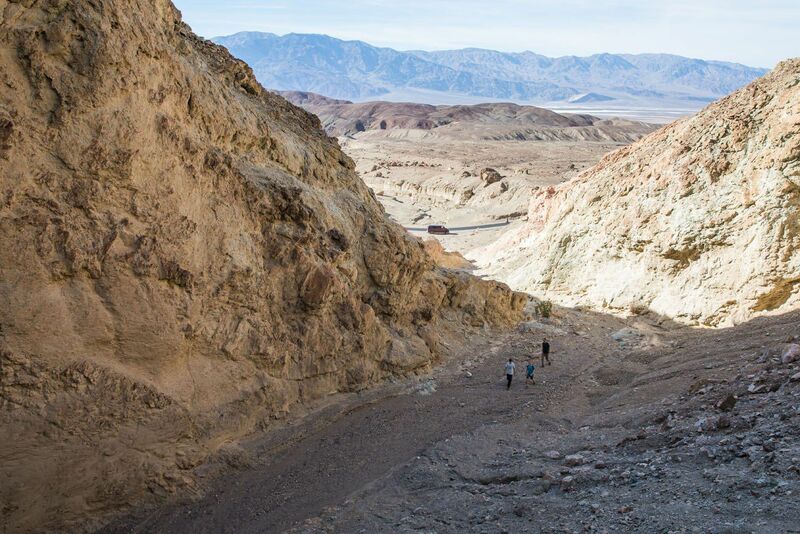 This is a 9-mile scenic drive through more of Death Valley’s unique landscapes. Artists Drive is a one-way road from south to north. To get here from Natural Bridge, drive north on Badwater Road for 5 miles and turn right onto Artists Drive. There are many places to stop to enjoy the view and take a photo, but there are two places that we think are really worth it. There is an unmarked, unnamed canyon that’s worth a quick visit. 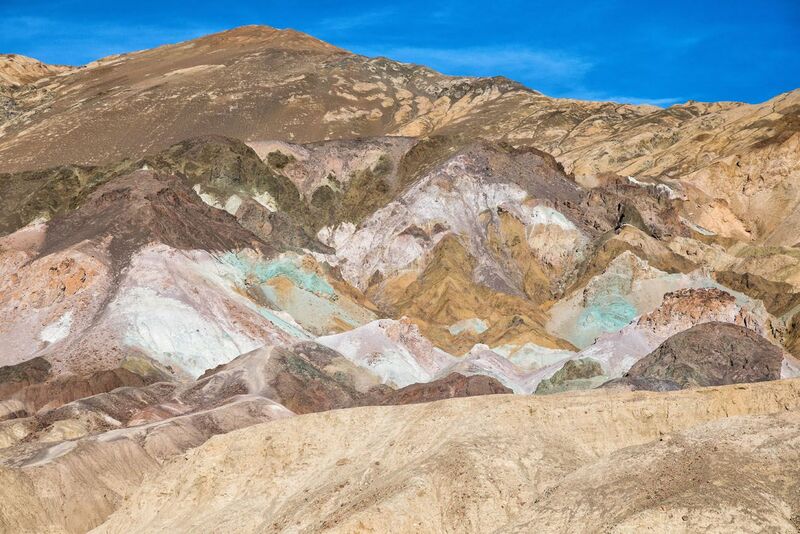 It’s located 3.4 miles into Artists Drive (0.9 miles before the Artists Palette parking lot). Park at the dip in the road and walk east into the canyon. You can spend 10 to 30 minutes exploring here. In our opinion, this was much more interesting than Natural Arch, probably because we only saw one other family while we were here. To get into the canyon, it can be a slightly challenging climb up the first obstacle, but once you are past this, the rest is easy. The second must-see spot on Artists Drive are the rainbow hills of Artist’s Palette. These pink, aqua, and purple hills are the result of the oxidation of metals in the soil. Park in the parking area if you want a close up look at these hills. From the end of Artists Drive, turn right on Badwater Road and drive for 3 miles until you reach the parking lot for Golden Canyon. Our day ends with a great little hike through the Badlands of Death Valley. The entire loop hike is 4.4 miles in length and can take between 2 and 3 hours. If it is getting late in the day, do the math and see if you will be able to finish the hike before sunset. 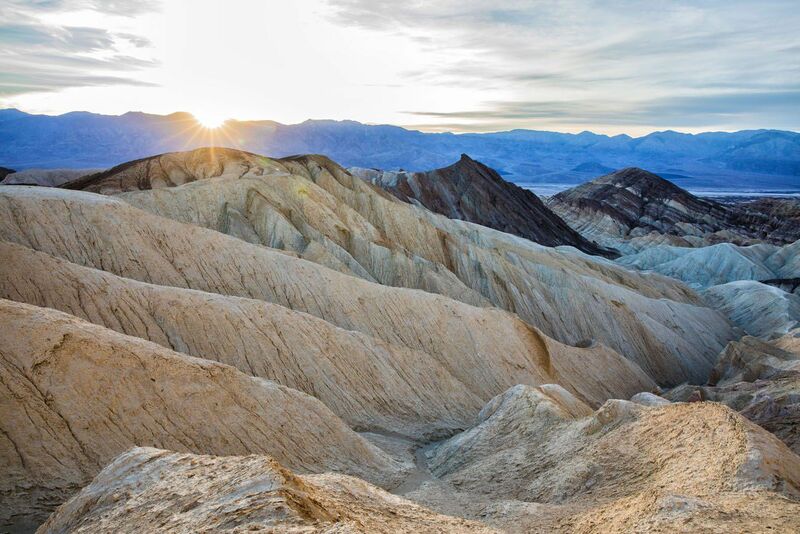 If not, you can hike up and back through Golden Canyon (2 miles total) and then drive over to Zabriskie Point to watch the sunset. However, if you do have time, this hike is worth it, in our opinion. Check in to your accommodations. In Death Valley, you can camp at the Furnace Creek Campground, The Oasis in Furnace Creek, or the Stovepipe Wells Hotel. You can also stay outside of the park in Beatty or Amargosa Valley (but note this will add a lot of unnecessary driving). We stayed in Stovepipe Wells and highly recommend it. We tend to get started early in the day when we travel. By getting on the road by 7:30 am (from Stovepipe Wells or Furnace Creek), there’s a chance you could have Ubehebe Crater and Racetrack Playa all to yourself, at least for a little bit. If you are staying outside of Death Valley, you should consider getting an even earlier start. From Stovepipe Wells, it is a one-hour drive (47 miles) to get to Ubehebe Crater. The roads, for the most part, are straight, empty roads where you can see for miles. We really enjoyed this fast and flat drive. 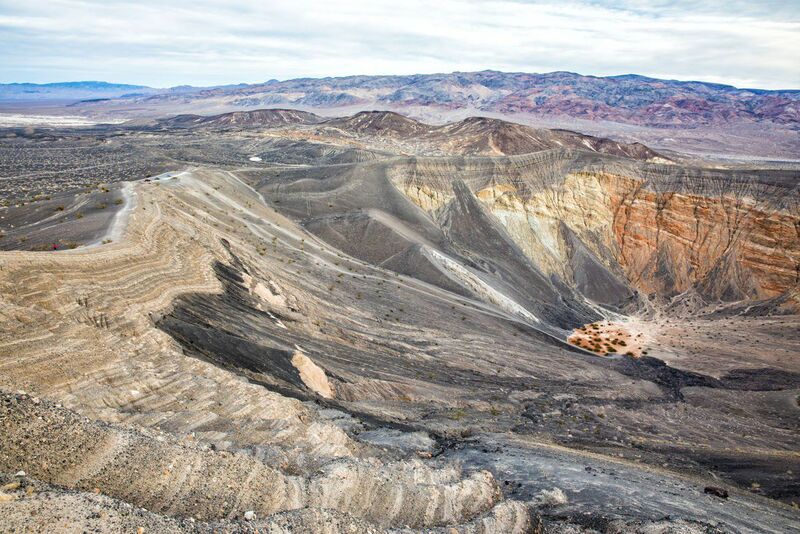 Ubehebe Crater (pronounced oo-beh-heh-bee) is a volcanic crater in Death Valley. It is well worth a visit, especially if you have never seen a caldera before. Yes, this was once an active volcano, and the surrounding landscape is still littered with charred soil and rock. You can view the crater from the parking lot, hike down into the crater, or walk around the rim (1.5 miles). We walked uphill on the rim to the highest point. The view from here is pretty spectacular, and we wanted to save time for everything else we had planned today, so we did not hike the entire rim. 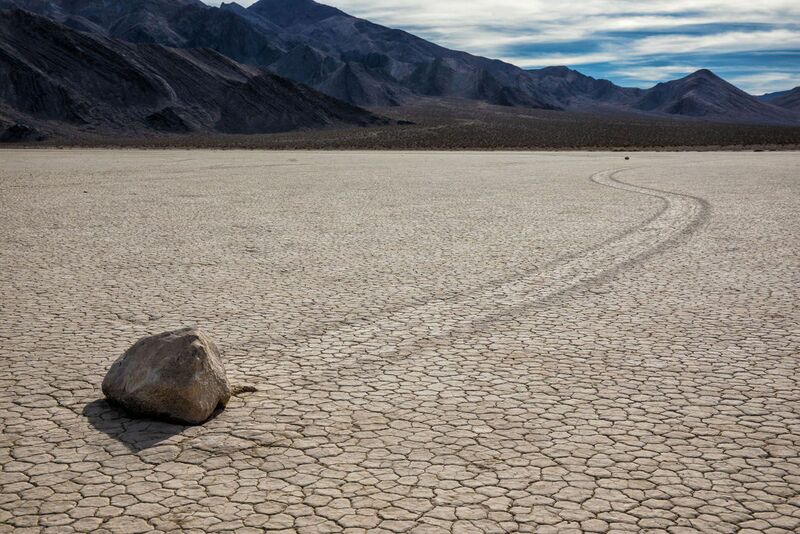 It’s a good idea to budget a lot of time for Racetrack Playa, just in case something goes wrong. 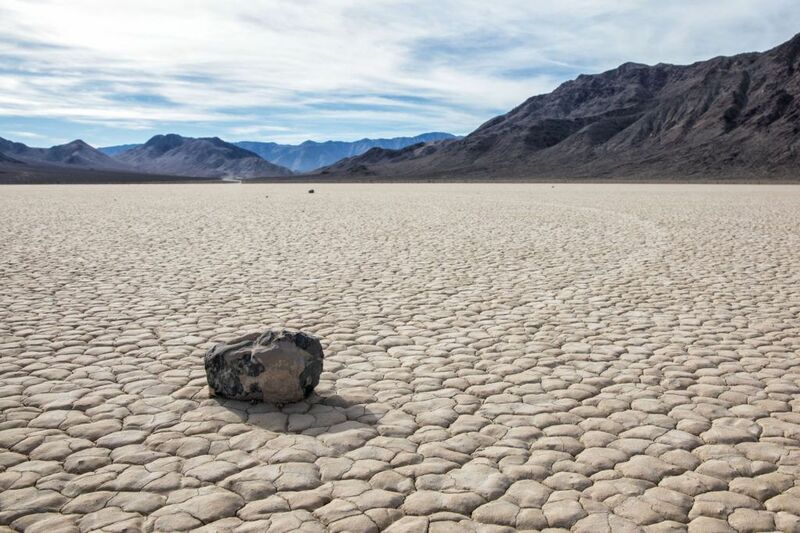 Racetrack Playa is the place to see the mysterious sailing stones…the large rocks that somehow glide over this dry surface, leaving imprinted trails behind them. The entrance onto Racetrack Valley Road is located near the parking lot to Ubehebe Crater. From here, it’s a 27-mile drive (1.5 to 2.5 hours) on a rough, rocky road to get to Racetrack Playa. Once you make it to Racetrack Playa, a visit here can last anywhere from one to three hours. It just depends on how much exploration you want to do and how many sailing stones you want to photograph. Important Note: In order to do this drive, you absolutely must have a vehicle with high clearance. The National Park Service highly recommends having a 4×4. During our visit, we saw SUV’s without 4×4 doing just fine. If you are visiting Death Valley with a rental car and are interested in visiting Racetrack Playa, you can rent a 4×4 Jeep in Furnace Creek. It’s a long drive to get back to the center of Death Valley. From Racetrack Playa, it’s a 70-mile drive (2.5 to 3 hours) to get to the Mesquite Flat Sand Dunes. By now, it’s mid-afternoon. 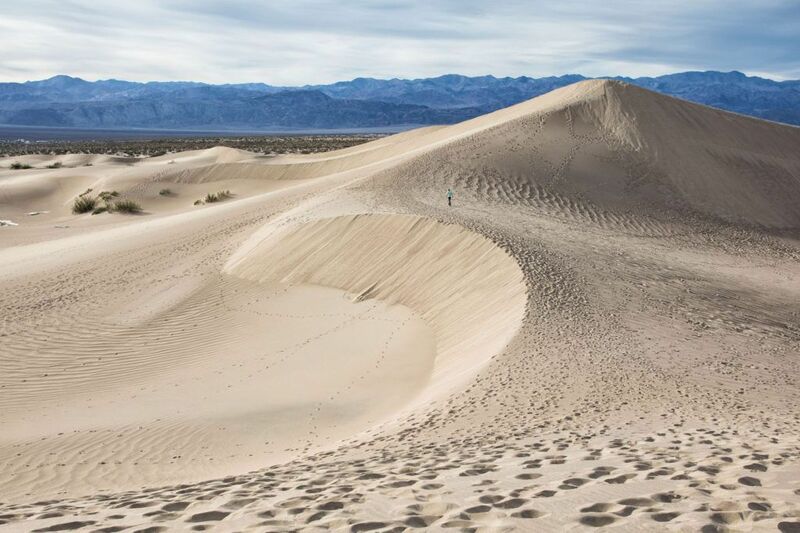 The Mesquite Flat Sand Dunes are one of the most photogenic spots in Death Valley. If you are here with kids, this just may be the highlight for them. We saw many people with sleds, sliding down the steeper dunes. We also saw more young kids here than anywhere else in the park. 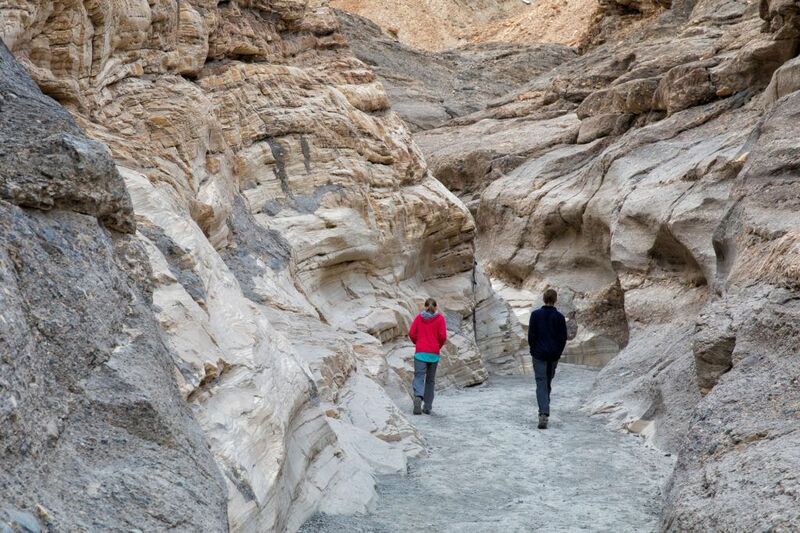 If you still have time and energy left, consider the hike through Mosaic Canyon. There is just enough rock scrambling and navigating through obstacles to keep things interesting on this 4-mile hike. 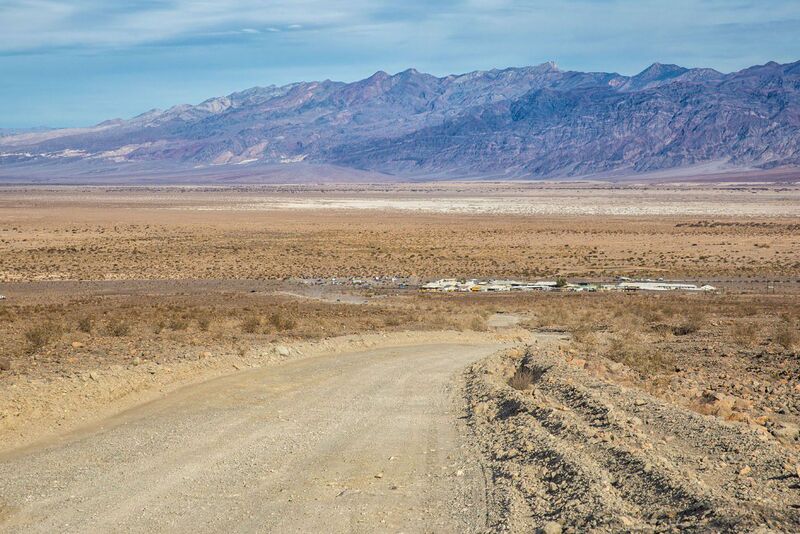 The trailhead is located a quarter of a mile west of Stovepipe Wells. Note: If you do not have the time to do this hike today, you can save it for tomorrow, if that works in your schedule. On the morning of day 3, we woke up early, ate breakfast at 7 am at the Stovepipe Wells hotel, and were on the trail by 7:45. We only saw 3 people during the hike into the canyon. By 9 am, when we exited the trail, more and more people were arriving. From here, we drove back to Las Vegas. Return to your hotel/campground and have dinner. 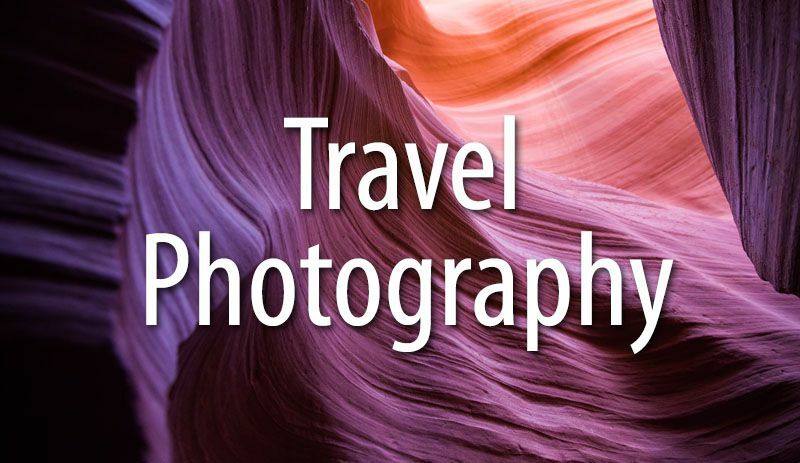 You can also say goodbye to Death Valley and drive to your next destination. Two days in Death Valley is not enough time to see everything in the park. 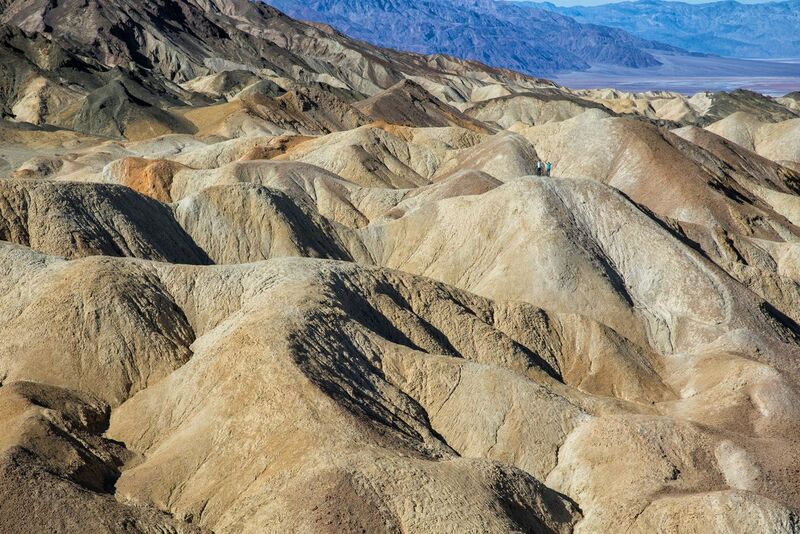 Death Valley is massive and it would take many more days, and a 4×4, to see it all. 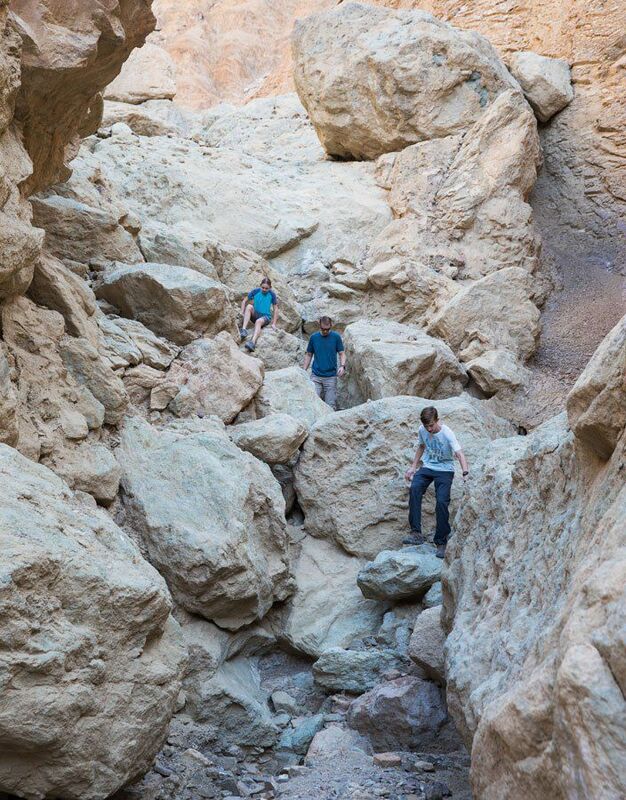 The Grotto Canyon Hike is a 2-mile, technically challenging hike located near Stovepipe Wells. The hike is so challenging, in fact, that Tim was the only one of the four of us who could maneuver through all of the obstacles on the trail. Yes, Tyler, Kara, and I got stuck at an 8-foot chimney that we could not climb up. We did this hike after visiting the Mesquite Flat Sand Dunes on Day 2 and hiked Mosaic Canyon on the morning of day 3. In order to do this hike, rock climbing experience is extremely helpful. This is not a hike for young kids (under the age of 12) or those without hiking and rock scrambling experience. If you are looking for a challenge, consider the hike through Grotto Canyon. 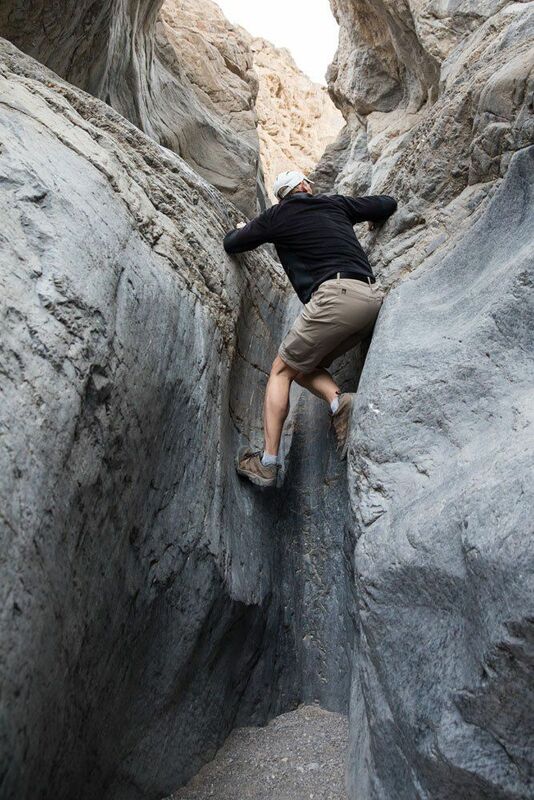 Read all about it: Grotto Canyon Hike: Are You Up for the Challenge? 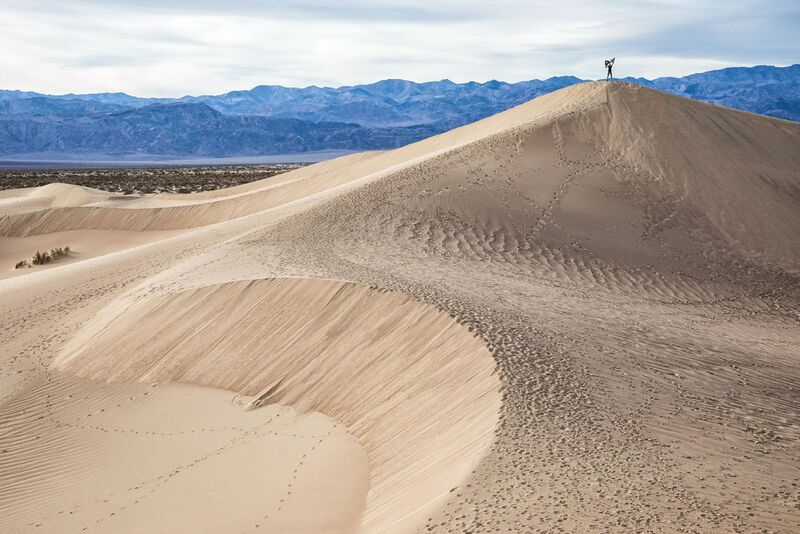 The Eureka Sand Dunes are toted to be the most spectacular sand dunes in Death Valley. They are located north of Ubehebe Crater. Getting here is similar to the excursion out to Racetrack Playa: a long drive on rough gravel roads. But if you want to experience sand dunes with few visitors, this is the place to go. If you are heading west out of Death Valley, consider a visit to Darwin Falls in Panamint Springs, a surprising oasis on the edge of the park. Telescope Peak is the highest peak in the park, at 11,043 feet (3,366 meters). You can climb this peak, a hike that is 14 miles long. 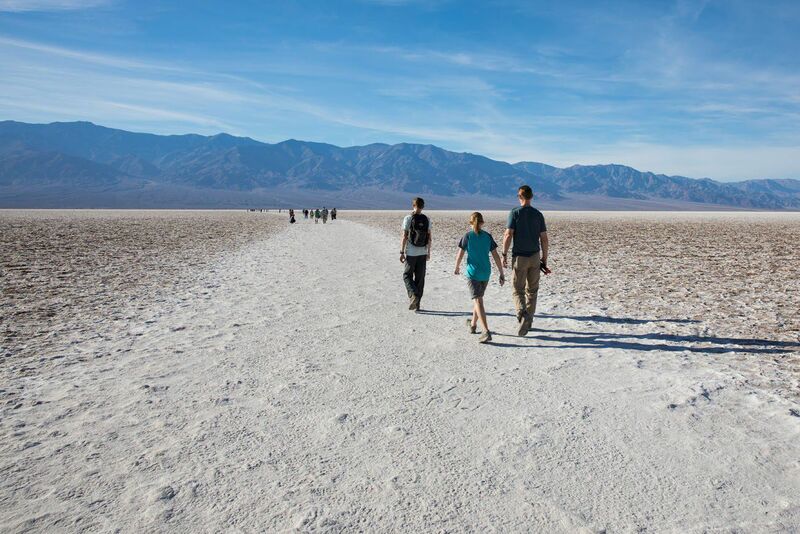 From the top, enjoy the view of Badwater Basin, the lowest spot in the United States, and Mt. Whitney, the highest mountain peak in the contiguous United States (14,505 feet, 4,421 meters). This is another viewpoint over Death Valley. Getting here requires a 4×4 and a drive on a 6-mile rough gravel road. Those who get here say the view is better than Dante’s View or Zabriskie Point. Scotty’s Castle is a mansion and ranch that has become an attraction in Death Valley. Currently, Scotty’s Castle is closed due to flood damage and it is not expected to reopen until 2020. 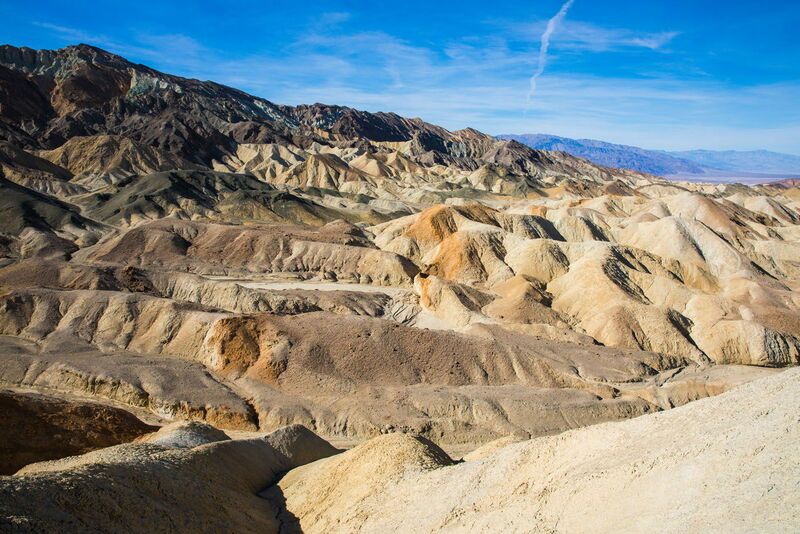 If you only have one day in Death Valley, follow our itinerary for Day 1. 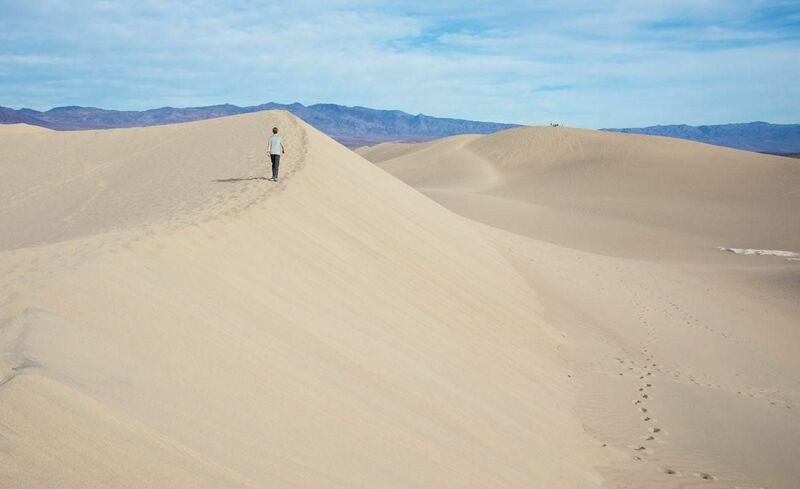 Instead of doing the Golden Canyon – Gower Gulch hike, visit the Mesquite Flat Sand Dunes. We had no cell service during our 2.5 days in Death Valley. Don’t expect to be able to make telephone calls, check your email, or get on social media. 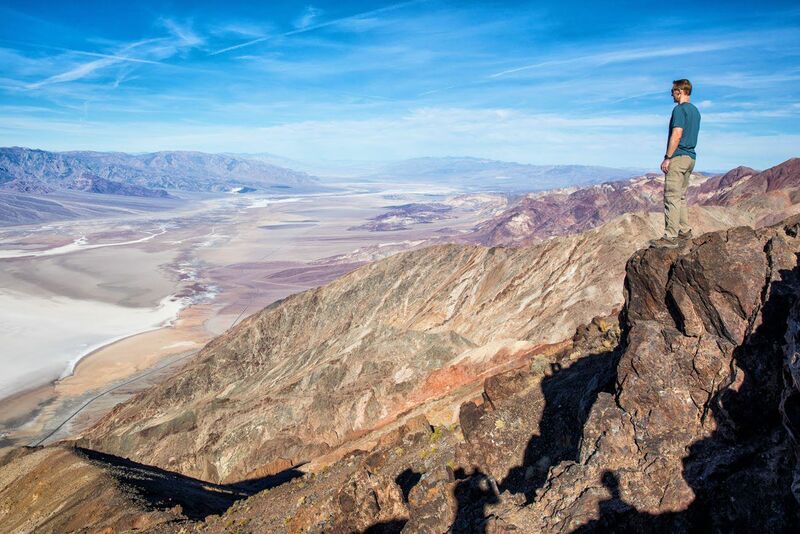 Think of a visit to Death Valley as a digital detox. Before leaving Las Vegas (or wherever you are coming from) cache the map of Death Valley on your phone. 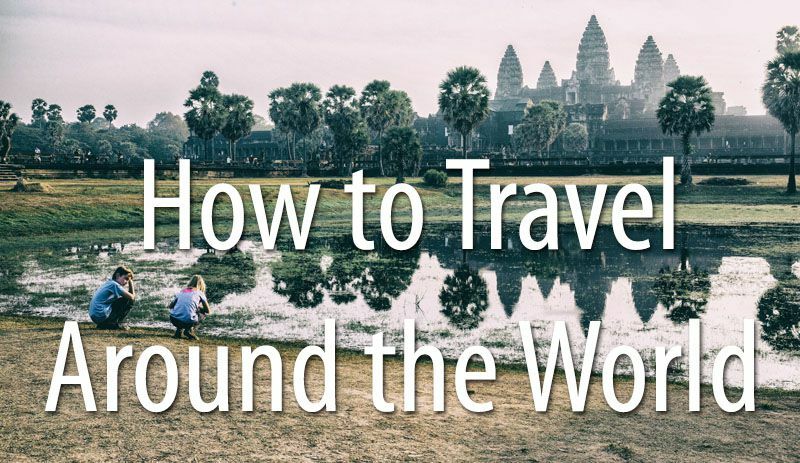 The GPS will still work, as long as the map is cached on your phone before you arrive here. This is also one of the few times we recommend having a paper map. We used the National Geographic Topographic Map and it was a lifesaver!! Fill up your tank with gas before arriving in Death Valley. Once inside the park, you can get gas at Furnace Creek and Stovepipe Wells (during our visit gas was slightly cheaper at Stovepipe Wells). Remember, if you run out of gas, you won’t be able to use your phone to call for help because there is no cellular service! Springtime is the most popular time to visit Death Valley. If the Valley received a lot of rainfall during the winter months, wildflowers bloom throughout the park (usually the end of March into early April). The winter months are another great time to visit Death Valley. Daytime temperatures are very pleasant (65 to 70°F) although it can get cold at night. 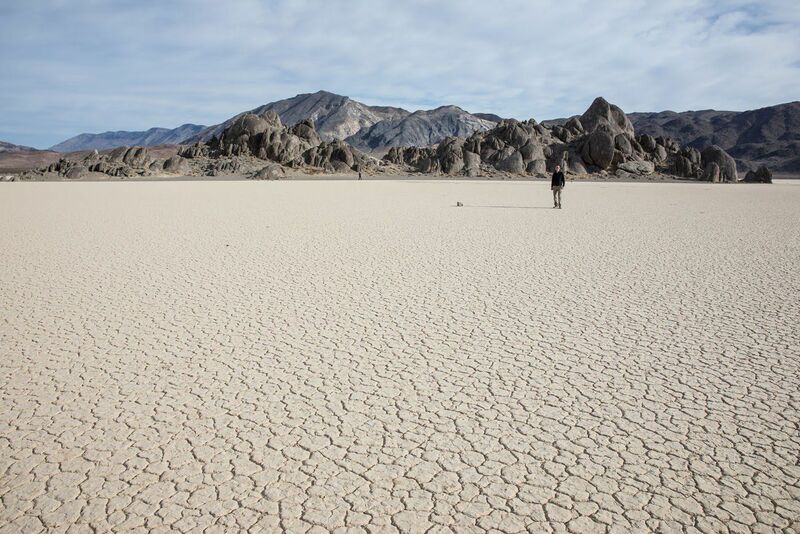 There may be brief periods of rain during the winter months, and if this occurs during your visit, you may want to skip Racetrack Playa. 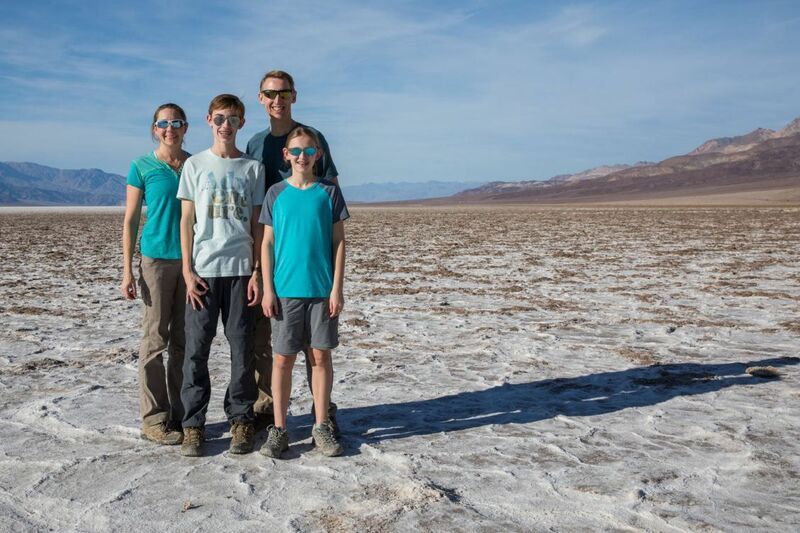 The National Park website states that the least crowded time to visit Death Valley is between Thanksgiving and Christmas. We visited Death Valley at the very end of December (December 29, 30, and 31). This is one of the peak times for a visit. There are very few places to stay in Death Valley, so your accommodation needs to be booked well in advance. During winter break, viewpoints and hiking trails are more crowded than normal, but still don’t even come close to peak season crowds in other parks like Yosemite and Zion. 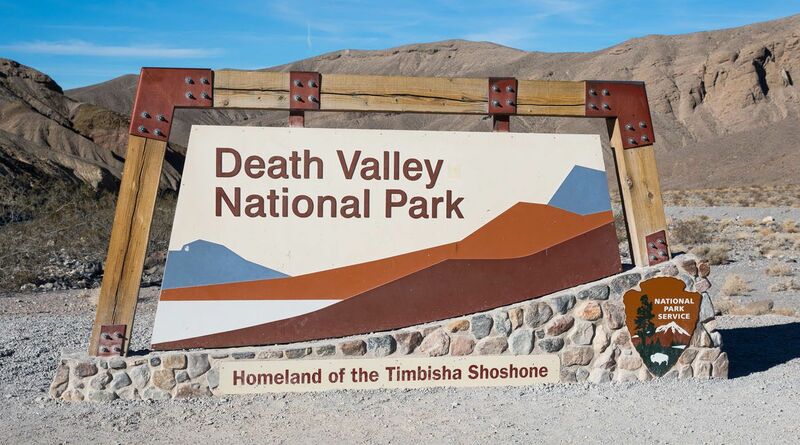 You can visit Death Valley in the summer months, just be prepared for sweltering heat (temperatures in the 120’s). Skip the hikes and instead drive through the park, getting out to see the viewpoints. Autumn has warm temperatures and clear skies. As the heat fades, visitors start reappearing. We stayed at Stovepipe Wells and highly recommend it. 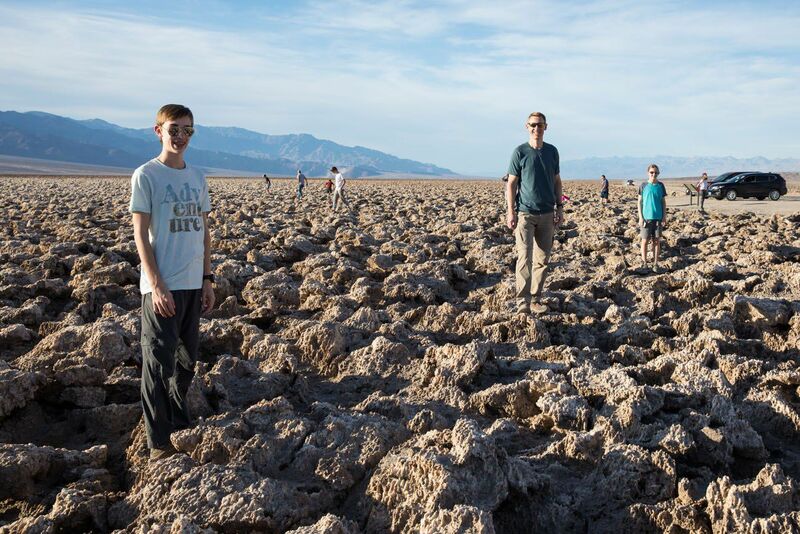 If we visit Death Valley again, we will not hesitate to stay in Stovepipe Wells. Stovepipe Wells is an oasis in Death Valley. There are hotel rooms, a campground, gas station, General Store, saloon, and restaurant. The rooms are basic but clean, the Wi-Fi barely works, and the food is nothing spectacular, but we really liked it here. It’s nothing fancy, but for two nights, Stovepipe Wells had everything we needed. Plus, its location is perfect, since it is a short drive to several hikes and the Mesquite Flat Sand Dunes. Make your reservations in advance, especially if you will be visiting during peak season. From Death Valley you can return to Las Vegas. Or, continue your tour of California. Kings Canyon and Sequoia National Park is just a short drive away. 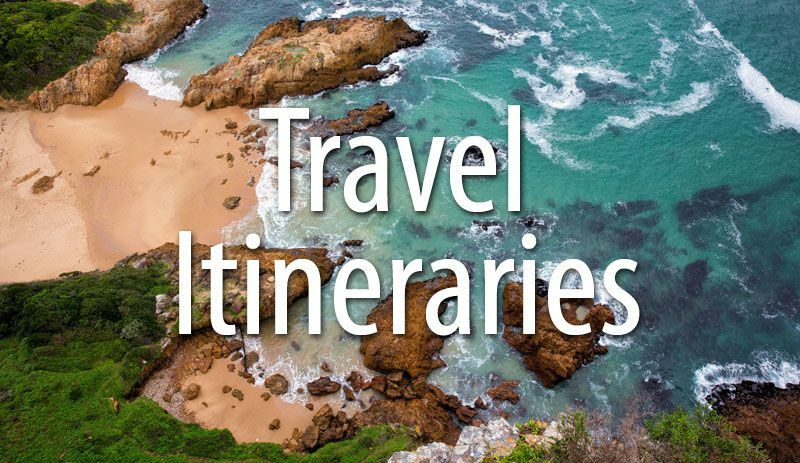 Other options include Yosemite, San Francisco, Joshua Tree National Park, and San Diego. 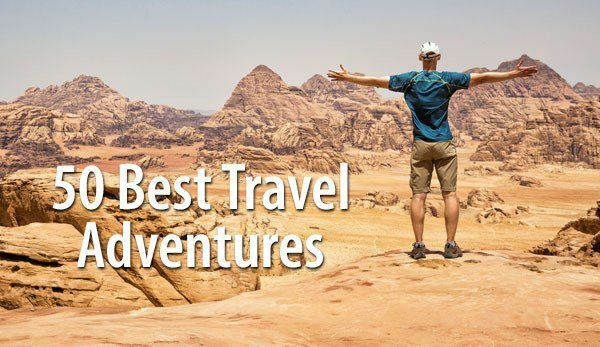 Do you have plans to visit Death Valley? If you have any questions or advice for our readers, comment below! Wonderful tips. 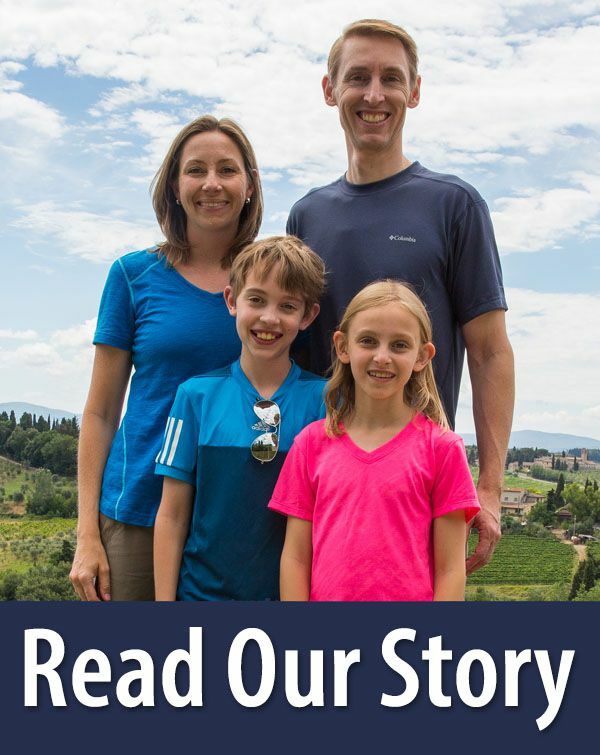 We have a 25’ motor home and tow a Fiat 500….We were planning to stay at least 4 days. As seniors we don’t do any strenuous hikes. Do we need to rent a 4×4 to access the best sights? Is there a printer friendly version of the itinerary? No, you will have to print it how it is or write it down. We’re thinking of visiting DV NP in an RV, about 25 or 30 feet in length. Is it possible to see the main sights this way? Some are saying RVs cannot go up Artists Drive but others say you can with care. Also on Google Maps to get to Sequioa NP from Pamimint Springs doesn’t look that far as the crow flies (about 120 miles) but the route given by Google is a long way (about 320 miles one way) . Is this because there are mountain passes currently closed due to snow ? Or is the long way round the only way to get from DV to Sequioa?